The Norwegian postal service sued truck makers involved in a long-running price-fixing cartel, adding a new challenge to companies including Daimler AG, Paccar Inc.’s DAF and AB Volvo after they paid the European Union’s record fine for the scheme. Posten Norge says it suffered financially from the collaboration, which brought $3.4 billion (2.93 billion euros) in fines in 2016 for fixing prices of medium- and heavy-duty vehicles between 1997 and 2011. Daimler was fined 1.01 billion euros, Volvo AB and its Renault truck unit got a 670.4 million euro fine and CNH Industrial NV’S Iveco paid 494.6 million euros as a result of the investigation, while Volkswagen’s MAN SE was exempt from fines after providing evidence on the cartel. Volvo spokesperson Joakim Kenndal said the Swedish company’s assessment is that customers haven’t suffered as a result of the truck makers’ exchange of data. Volvo has received other damage claims and there are legal processes ongoing, though the company can’t estimate the amount of potential liabilities, he said. 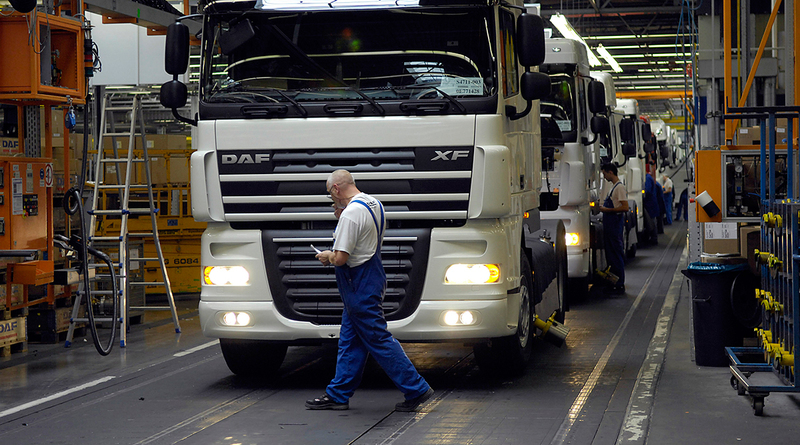 Swedish truck maker Scania, which contested the commission’s findings and appealed an 880 million euro fine, isn’t targeted by the suit in Norway, according to Rasmus Asbjornsen, a lawyer representing Posten Norden. The case will be heard June 18 in Oslo’s District Court, which will need to determine whether the claim is admissible in Norway.